For most of its history, the disposal of waste in New Jersey was primarily a responsibility of individuals. Typically, residents and shopkeepers disposed of garbage on their own properties, sometimes in pits dug behind their buildings, and in some cases in town dumps where residents could haul their own waste. Later, as municipalities grew in population, either government-run or private haulers commenced operations on a larger scale, with dumps eventually established to service disposal by towns in a county or region. As the state's economy grew in the nineteenth century, industrial plants and factories disposed of their waste on their own sites or hired haulers, who often disposed of the waste on whatever land appeared available or abandoned. In addition to New Jersey waste, forest areas in the Pinelands near Philadelphia and the wetlands of the Hackensack Meadowlands soon became targeted for disposal of the vast amounts of waste generated by those two major cities. As New Jersey cities grew in population, however, the past methods of disposing of garbage and sewage could not keep pace with the growing numbers of people living closely together in tenements and other housing. Streets were sites for disposal of household garbage and animal carcasses, along with holding feces and urine from the many horses used for everyday transport and hauling. The contents of chamber pots often were dumped from windows, sometimes landing on pedestrians passing below. The population of Newark more than tripled between 1840, when it had 17,000 residents, to 1856, when it became the state's largest city with 56,000. The frequency of outbreaks of diseases like cholera, yellow fever, diphtheria and typhoid also became linked by some physicians and scientists to humans residing in the midst of rotting animal carcasses and garbage on streets and in close proximity to untreated human waste in homes and workplaces, a view advanced as the "miasmic" theory that an invisible noxious gas emitted by decaying organic material was the cause of many diseases. In the last half of the nineteenth century, the state and local governments began to take limited actions to address concerns over the impact of waste on public health. In the 1850s, Newark started building its first underground sewers serving the city center, with their outfall dumping untreated human waste into the Passaic River, which was already heavily polluted by the disposal of waste from upstream factories. In addition to the newly-built sewers, attempts were made to control odors by paving over streams through the City which residents used to dump waste. These early efforts did little, however, to stem the outbreaks of disease. In 1877, for example, the grandmother of future Governor Brendan Byrne saw of six of her nine children--ranging from an infant to a fourteen-year-old--die in a single week as diphtheria and typhus devastated the City of Orange. In 1890, Newark had the highest mortality rate in the country, with over 27 deaths per 1,000 residents of its population, leading the City to begin building a much more expansive sewer system to collect waste from outlying neighborhoods. Sewage disposal also was facilitated as flush toilets came into expanded use. In 1874, Thomas Maddock, a Trenton pottery maker who made chamber pots, wash basins and other household ceramic products, began shifting his focus to toilets, eventually succeeding in lowering production costs to allow the former luxury item to be affordable for many more consumers. By the end of the century, Maddock, along with other Trenton firms, made the city the nation's center for the production of toilets, accounting for some 80% of the toilets made in the country. Although in 1877 the legislature created the state Board of Health to adopt a Sanitary Code, the implementation of waste disposal programs remained primarily a local responsibility of municipal governments and their boards of health. This led to fragmented efforts to find suitable garbage disposal sites, with the state estimated at one time to have over 400 separate landfills. Many sites were small and operated with little on-site management; incineration also became a disposal option, either through open burning at dumps or through larger central facilities with smokestacks emitting smoke with chemicals, particles and other pollutants directly into the air. Water bodies such as rivers, bays and the ocean also often were used to dump solid waste, with some justifying the practice as employing the supposedly natural cleansing power of the waters to rid the land of garbage. To some extent, New Jersey's capacity to handle its own waste has been constrained by the disposal in state landfills and its coastal waters, both legally and illegally, of out-of-state waste, primarily from New York City and Philadelphia. As early as 1934, New Jersey filed a lawsuit seeking to block the ocean dumping of waste by New York City; the case ultimately was decided by the US Supreme Court, which upheld a lower court's injunction barring the dumping of municipal waste, but allowed dumping to continue for industrial and commercial materials. 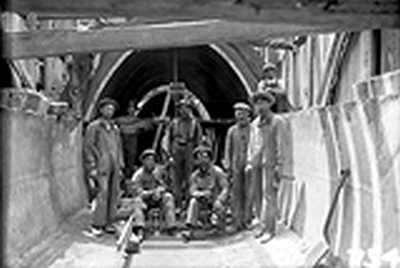 In 1902, the legislature established the Passaic Valley Sewerage Commission to serve municipalities along the Passaic River and its tributaries, including Newark, with the Commission later building a 22-mile long interceptor sewer line connecting to its Newark Bay Treatment Plant, which began operation in 1924. As was the case for the Newark plant, the first treatment plants provided only primary treatment of sewage, separating solids by allowing them to settle as sewage flowed through large tanks, with the resulting sludge later collected for land disposal. Other treatment plants with outfalls along the Jersey Shore or major rivers simply pumped the sludge into the adjacent waterway, which added to the pollution produced by discharges of industrial chemicals and other waste from nearby factories. In 1925, New Jersey, Pennsylvania and New York signed a compact prohibiting the discharge of untreated sewage and industrial waste into the Delaware River or its tributaries, and in the next decade the first steps would be taken to study the effects of offshore disposal of sewage and other waste in the New York Bight extending along the Jersey Shore, lower Manhattan and Long Island. Yet well into the 20th century, the disposal of solid waste and sewage treatment in New Jersey remained the responsibility of local governments and regional or local sewage treatment authorities. After the end of World War II, the surge in suburban development brought pressure for the expansion of landfills; extension of sewerage interceptor lines and increases in the capacity of treatment plants to serve the growing suburban communities. By the 1970s, however, a series of federal and state laws to protect the environment led to the assumption by the state government of a new regulatory role in both solid waste disposal and sewage treatment. The New Jersey Department of Environmental Protection was created in 1970, and expressly empowered to assume the functions and powers of the state Public Health Council and the Department of Health relating to solid waste. The Legislature also enacted the Solid Waste Management Act and the Solid Waste Utilities Control Act which were intended to provide a legislative framework for the regulation of environmental aspects of solid waste disposal under the DEP and for the review and approval of rates and business practices under the then Public Utilities Commission (now the Board of Public Utilities). 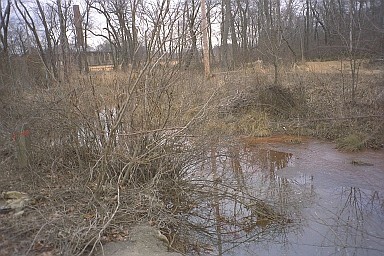 Along with the state laws, the federal Clean Water Act of 1972 (Federal Water Pollution Control Act Amendments of 1972) authorized the US Environmental Protection Agency to establish water pollution regulations which prohibited many past practices in how solid waste and sewage was disposed of and treated. The federal Resource Conservation and Recovery Act of 1976 and the Hazardous and Solid Waste Amendments of 1984, along with supplemental state laws, established new controls over solid and hazardous waste generators, transporters, and treatment, storage and disposal facilities, including creating a tracking system for waste shipments to curtail illegal disposal. In response to the stricter regulatory standards, new, more advanced sewage treatment plants began to utilize secondary treatment of sewage, employing bacteria and protozoa to consume soluble organic contaminants such as sugars, fats, and carbon molecules and binding the less soluble fractions. With the help of federal funds, New Jersey spent over $1 billion in the 1970s in constructing new or expanded sewage plants which employed secondary or tertiary treatment processes to greatly improve on the traditional primary treatment used in older plants. Another federal law enacted in 1972, the Marine Protection, Research and Sanctuaries Act, began an extended process to regulate and phase out most ocean dumping. It would not be until 1987, however, that the area off the New Jersey coast known as the "12-Mile Dumping Ground," where barges annually dropped millions of tons of sewage sludge, would be closed to further dumping. New York City then relocated its sludge dumping to a site 106 miles offshore, and in 1988 Governor Kean signed the Ocean Dumping Elimination Act prohibiting all New Jersey municipal treatment works from disposing sludge in the ocean after March 1991. ​The new federal and state roles assumed in the 1970s reflected growing concerns over environmental quality and public health, and stricter controls led to the closure of older landfills, especially those linked to pollution of groundwater and nearby rivers and streams. Given New Jersey's dense population, the scarcity of sites for new landfills, and restrictions by out-of-state disposal facilities, the state also took steps to conserve its remaining capacity at existing landfills, including barring acceptance of out-of-state waste, an action ultimately held in 1978 to be an unconstitutional interference in interstate commerce by the US Supreme Court. Another state legislative initiative to mandate county governments as the central solid waste disposal agency within their boundaries, which encouraged their construction of costly, technologically-advanced waste-to-energy incinerators, also was invalidated by the federal lower courts in a 1997 decision, again holding it to be unconstitutional under the Commerce Clause, a decision which the US Supreme Court declined to review. Apart from the environmental issues, the authority given to the state in regulating rates and business operations followed investigative reports in the late 1960s disclosing widespread corruption in the solid waste disposal industry, with organized crime figures colluding to control markets, set rates and bribe local government officials. In the 1970s and 1980s, a series of new laws were enacted to require companies to publish inventories of toxic chemicals stored at their facilities and to track the shipping of toxic substances; set standards on the discharge of carcinogenic chemicals into the atmosphere; strengthen penalties for illegal dumping; prohibit sewage discharges into the ocean; regulate development affecting freshwater wetlands; and give citizens the right to sue to enforce compliance with environmental laws and regulations. The state also established a compensation and cleanup fund for damages from oil and toxic chemical spills, financed by a tax on the transfer of petroleum and chemicals within the state, which became the model for the federal Superfund program to remediate toxic spills and sites throughout the country. It also expanded its acquisition of open space for parks, recreation and farmland preservation through the Green Acres program. State regulatory authority was also extended to protect environmental and water resources in the Pinelands and the Highlands. By the late 1980s, state regulations required the closing of many landfills and incinerators, causing the amount of waste disposed of in New Jersey to decline sharply, with some businesses and local governments contracting to ship waste to out-of-state landfills and other disposal sites. At about the same time, new emissions technology was incorporated in incinerators to substantially improve the control of pollution; new landfills also were constructed with advanced engineering to restrict groundwater contamination, gradually replacing older facilities. In the 1990s, the federal and state governments also launched "brownfields" programs to provide grants and technical assistance to redevelop abandoned or underused industrial and commercial disposal sites affected by real or perceived environmental contamination. Some older landfills also began to be recycled for other uses; by 2015, for example, solar panels had been installed at eight closed landfills to generate electric power. Federal and state programs also focused on encouraging recycling of solid waste. In 1987, the state enacted legislation to mandate recycling of many items, including glass and metal containers and many types of paper. In the early 1990s, New Jersey established a goal of recycling 60% of the total waste stream, and in 2008 approved the Recycling Enhancement Act, imposing a tax of three dollars per ton of waste, with a portion of the revenue provided to support recycling programs of counties and municipalities. Despite the progress New Jersey has made in the disposal of waste, the state faces hurdles in coping with its future needs. The impact of Hurricane Sandy in 2012 overwhelmed the aging infrastructure of water and sewer systems, resulting in an estimated $2.6 billion in damage to existing facilities, including $800 million in repairs to the waste treatment plant of the Passaic Valley Sewerage Commission. In January 2016, the EPA issued a report estimating that the costs of upgrading sewer infrastructure--much of it needed to control sewer overflow during rain storms and floods resulting in the discharge of raw sewage.--was an estimated $17 billion over five years. Along with other needed upgrades to the state’s water and sewer systems, the projected total costs could reach $45 billion. Studies issued in 2015 also reported that the impact of climate change on rising sea levels and higher storm surges threatened existing toxic waste sites and also threatened such national monuments as the Statue of Liberty and Gateway National Park at Sandy Hook.